Those who attended SOLIDWORKS World may recall our mission to help the SOLIDWORKS community move beyond creating products and into the realm of designing experiences. Thanks to trends like big data and the Internet of Things, products can be so much more than customizable than ever before. It’s no longer about catering to an entire user base; product design is evolving to build products that users can adapt their own specific needs. Now it’s easy to think that experiential design best suited for leisure goods. Things like connected cars, smart watches, headphones and your Netflix queue are top of mind in the media. The fact is that connected devices harnessing the knowledge of the Internet are capable of changing nearly every aspect of our lives – not just downtime. However, the real benefit to designing for experience is building products that transform the ordinary into extraordinary. Go back to the tech gadget discussion that monopolizes media hype. The latest connected products wowing the CES crowd have the “cool” factor. For example, riding in a self-driving car is an amazing concept. It’s science fiction coming to life before our eyes – of course that is going to get attention and rightfully so. However, I want to share my current favorite connected experience; and while it might not be as exciting as shaving during your commute, it proves that seemingly mundane products can have a meaningful impact on our everyday lives. So what is my new favorite gadget? The Nest thermostat. Five years ago who would have thought that a thermostat could be so exciting? At least two people, Tony Fadell and Matt Rogers, did. The story goes that Tony was unhappy with the thermostat options for his vacation home; so he did what any engineer would: build a better thermostat that would optimize heating and cooling to conserve energy. How does Nest work? It learns from your routine. More technically, Nest takes the data you input while adjusting your home’s temperature and automatically adapts to your schedule. Meaning the time spent struggling with a traditional thermostat’s wonky automation features is over (which was an experience akin to scheduling a VCR recording). 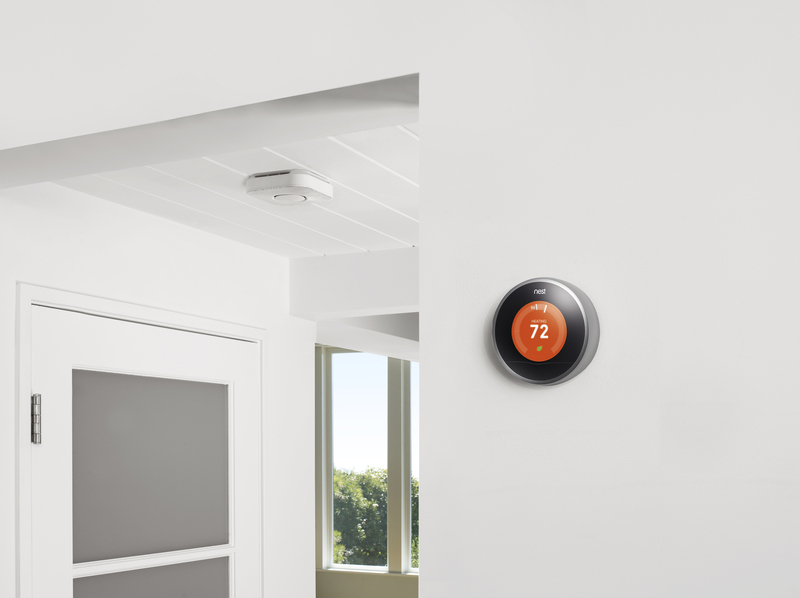 Nest’s learning capabilities takes a thermostat and uses data to customize it into your thermostat. This personalization fulfills one aspect of great experiential design, but Nest engages you to go further. Each month, Nest sends users a Home Report that I eagerly anticipate. This is like a report card for the last month’s energy usage. The report provides month to month comparisons on your home or business and allows you to see how you stack up to other users. I’m not sure if there’s an award for being the most energy efficient Nest user, but when it comes to energy consumption, I strive for excellence. This report provides another hallmark of experiential design: long term engagement. 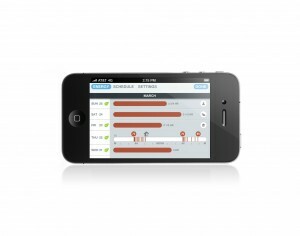 I want to achive an efficient home; therefore I’m invested in this product and want to use Nest to its fullest extent. I’ve covered how Nest features two key components of experiential design: it’s personalized and it’s engaging. The third critical element in designing for the age of experience is connectivity. Nest’s mobile app and Wi-Fi connection allows me to make adjustments from anywhere. Where I go, Nest follows. Connected products should be ubiquitous and this final connectivity component is what separates past designs from the future innovations. In the past you could have (begrudgingly) scheduled a thermostat or made adjustments based on reports, but until the Internet of Things you could not have total control over your home heating from anywhere in the world. I hope my experience with Nest provides some food for thought in your next design. Always think of how we can take new tools, like the Internet and data, and use it to make smarter, engaging and connected products. I know our users are up to the challenge and I look forward to your next great invention that will have me experiencing good feelings where I previously felt frustration.